Durango freshman Maddie Jo Robbins rewarded the Devo coaches for promoting her to varsity as a freshman, as she placed second in the Division II varsity girls race at the state championships in Eagle. 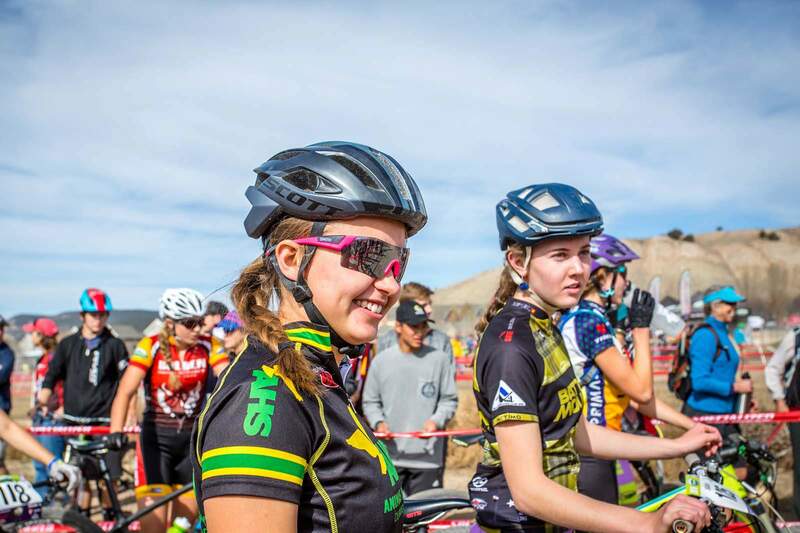 Animas’ Camryn Sippy was all smiles before her finial high school mountain bike race. She completed her 18th career race with a fourth-place finish in the varsity Division I girls race. 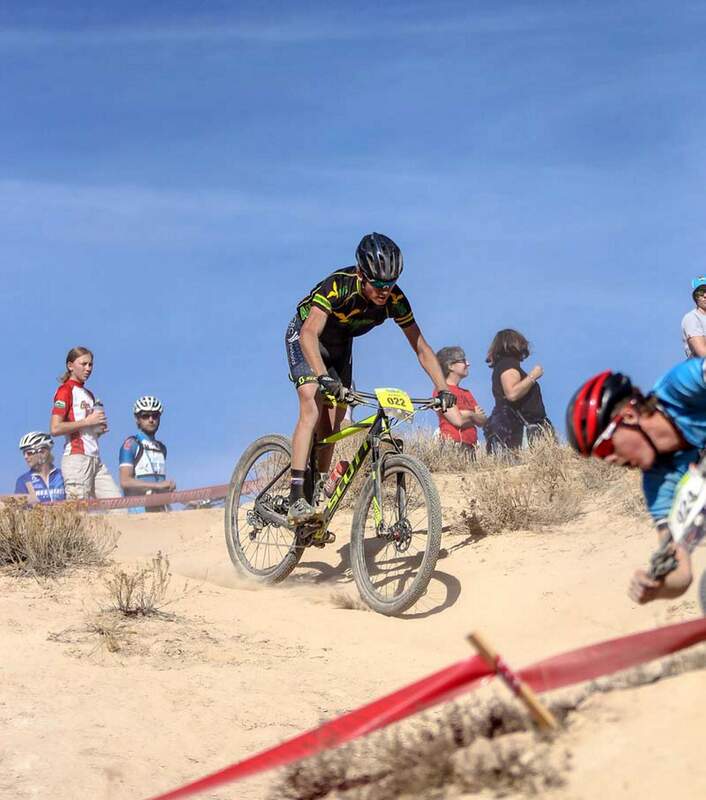 Animas’ Keiran Eagen wrapped up a stellar high school mountain biking career with a fourth-place finish in the Division I varsity race at state in Eagle. Durango’s Lucas Robbins led the Durango boys varsity team with a 24th place finish at state. Another standout season for the Animas and Durango mountain bike teams came to a close last weekend in Eagle. 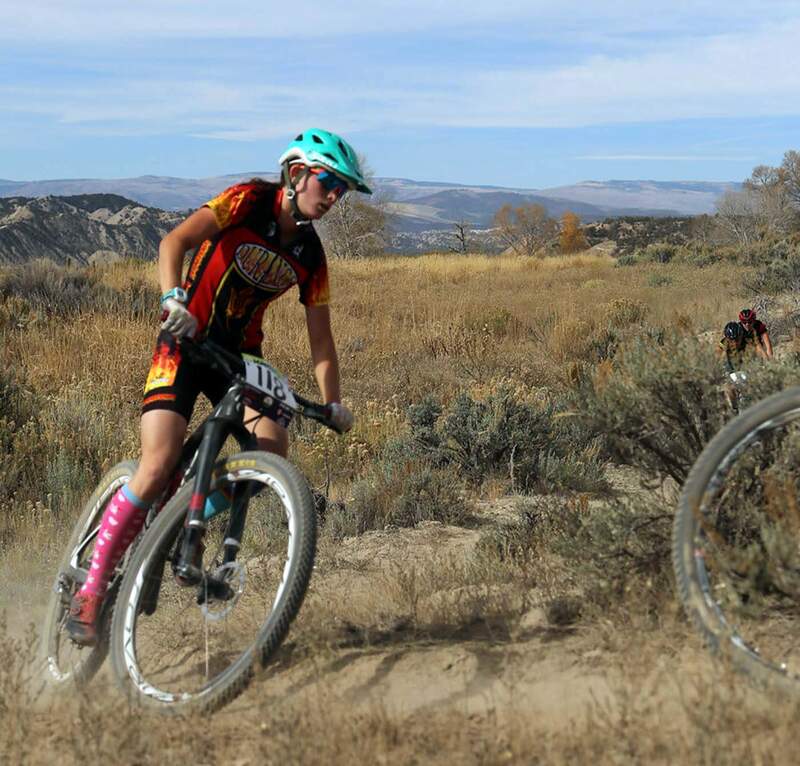 The two teams, which are organized by Durango Devo, competed in the Colorado High School Cycling League mountain bike state championships Oct. 23. Competing in Division I, Animas High School placed fifth as a team. Durango competed in Division II and claimed second place. Boulder claimed first place in Division I with 5,038 team points. Fairview, also of Boulder, was second with 4,787 points, and Battle Mountain claimed third with 4,509 points. Animas scored 4,353 points. 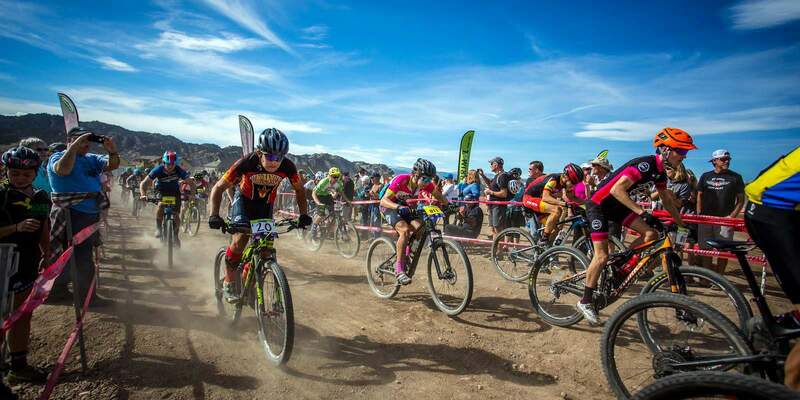 “The whole weekend was super impressive and celebratory for the Durango riders,” Durango Devo coaches said in a news release. “Not only were we celebrating our accomplishments for the weekend but also those of the legacy riders of the Colorado League throughout their entire four-year high school racing careers. Durango’s 2,250 points came in just behind Vail Ski & Snowboard Academy’s 2,544 points, and it was a Durango girl who helped beat the Demons, as Katja Freeburn represented VSSA and took second place in the three-lap D2 varsity girls race. The varsity girls race was a showcase of Durango talent, as Durango freshman Maddie Jo Robbins came in third and Animas senior Camryn Sippy, who completed 18 races in four years with the league, charged in for fourth place. The race was won by Salida’s Harper Powell in 1 hour, 28 minutes, 22.51 seconds. Freeburn crossed in 1:29:44, Robbins finished in 1:32:35.32 and Sippy was close behind in 1:33:46.41. Animas was led in the four-lap varsity boys race by senior Keiran Eagen, who placed fourth in 1:46:39.36. The race was won by Nic Jenkins of Fountain Valley, who crossed in 1:43:30.21. Lucas Robbins finished 24th in the varsity boys race for Durango in 1:56:30.78. DHS senior Jimmy Pope did not finish but capped off a stellar four-year career. Durango’s top result came in the two-lap freshman boys race, as Cobe Freeburn worked his way to a third-place finish in 52:57.03. VSSA’s Zane Worrell won in 52:20.03 to barely edge Bjorn Riley of Boulder. Riley Amos of Animas was sixth, and teammate Simon Donnaway took 26th. Durango’s Nicholas Unkovskoy and Logan Moore finished 15th and 16, respectively, in their divisions. Miles Bronson also took 51st for Durango. Animas saw an incredible finish in the junior varsity girls race, as Sadie Schafer rode to second place in 1:00:52.65. Ce Compton was on fire from the start of the race and took fourth place in 1:04:26.45, with Alma Wolf close behind in ninth. Durango’s Amina Youseff placed 30th in the JV girls race. The JV boys race saw Animas’ John White take 27th, with teammates Coleman Bader and Andrew Munroe placing 119th and 124th, respectively. Henry Haggart took 38th in the sophomore boys race for Animas. Durango saw Sage Davis claim 21st in the freshman girls race, while Luke Nicholson claimed 24th in the sophomore boys race. The legacy riders in Durango were Coleman Bader, Eagen, Perrin Kileen, George McQuinn, Pope, Lucas Robbins, Sippy and Geoffrey Steiner.